Do you need a reason to go back to Sword Art Online: Fatal Bullet? How about a new add-on? Collapse of Balance is now available for $9.99. This DLC has all sorts of goodies lined up for players. Collapse of Balance does a lot. It introduces Alice and Eugeo, for one. They are two new characters who have joined to prevent Lievre from annihilating the capital city, SBC Gloken. That’s not all, folks. Bandai Namco Entertainment America is bringing more cool things to the table, apart from the new campaign. There’s a new dungeon, a Defensive Battle Quest, two new Sword Skills, and four new weapons. It is not too shabby. 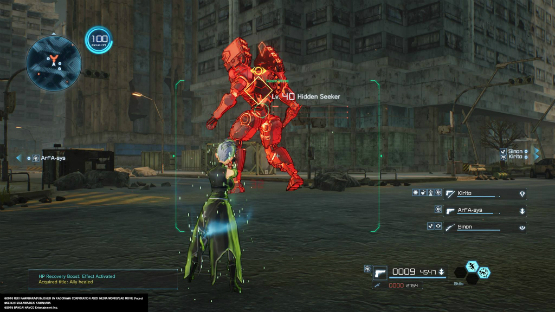 Sword Art Online: Fatal Bullet, which hit the market back in February 2018, has already received other expansion packs. For example, Betrayal of Comrades added a Free-for-All game mode. Collapse of Balance is the third. Keep that in mind, when you play, and also don’t forget to check out all of the post-launch characters so far.